Imagine you are a lizard. Now get over the shock that you are a scaly skinned cold-blooded reptile who also owns a computer and can browse the internet. Okay with that behind us, welcome to being a lizard. As a cute little lizard you will be spending the day making choices about where to walk and jump. Having recently been embodied as a human with similar abilities this is likely a relatable position. You’ll mostly be choosing to walk and jump in directions that you hope will reduce the distance between your mouth and tasty lizard food. This is also likely relatable. Occasionally though, you may have to decide if you want to sever your own tail from your body or not. This is likely not a particularly relatable situation for a lizard who was once a human. Humans don’t have tails. We also can’t detach our extremities from our torsos. Ok we can but not particularly efficiently. Why would a lizard ever want to do this? Maybe in in act of teenage rebellion from its overbearing parents? Maybe it’s more of a fashion statement? Some kind of lizard self-service gender reassignment? See, lizards have this cool superpower where they can regenerate their tails if attacked by a predator. This is not particularly helpful if you’re plucked from ground by your head in the case of the above. 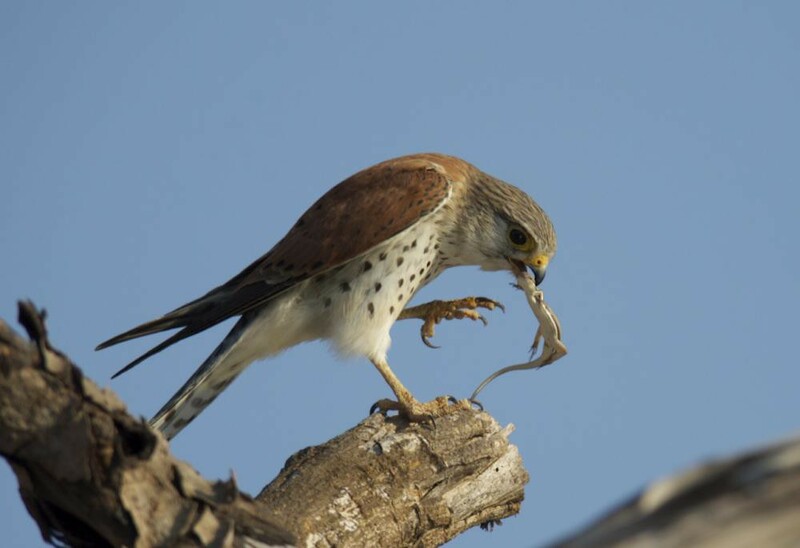 But you know, there are only so many images of falcons eating lizards on Google so I had to compromise. If a falcon had indeed caught you by the tail it might be in your best interest to say ‘adios’ to that appendage. It buys you another day of life after all. Being alive is a perk of living. Another thing that we can all related to. Okay, probably enough lizard talk. I’m a huge fan of long-term thinking. So is Jeff Bezos, Warren Buffet, and a 3rd rich person I’m too lazy to think of. Most people know that long-term thinking is better than short-term thinking if you are trying to build wealth. The problem is not the awareness of this truth, but rather getting your behavior to reflect your understanding. This post is not about why long-term thinking is good and why you are a total dumb dumb if you’re not doing it RIGHT NOW. This post is about when short term thinking actually IS better than long term thinking in the context of startups. Your stupid, tiny startup is a lot like that lizard that was snatched up by the falcon. “The falcon” for startups is running out of both money & hope at the same time. That is the condition of startup failure. In the long term, we are all dead. For lizards & startups that is sometimes equally true in the short term. Tooltip: Short-term thinking makes sense when faced with immediate existential threats. Does this seem obvious so far? It should, so that is good. But, it is amazing how frequently startup founders ignore or fail to recognize immediate existential threats. There are a myriad of reasons this occurs. 1. Founder is over optimistic about an upcoming good thing that is totally, definitely happen. Founders are naturally definite optimists who like to move fast. We love counting unhatched chickens. The problem is that the blind side is not protected. If you are sure Plan A is going to happen you will be destroyed swiftly once Plan A doesn’t work out. Or even work out in the timeline you projected for that matter. Solutions: have backup plans for ensuring that you have enough cash. Earn more money than you spend. Don’t spend money on things before you need to. Oh, and have a real human accountant. The canonical example of this for me is faking product-market fit. Founders know that this is a thing you need to have, because Y Combinator and Mark Andreessen say so. So, they pick a metric that makes it look like they indeed are one of the select few startups that have iterated their way to PMF. After all it is easier to get funded if you’ve already got PMF. So, an easy way to increase funding chances (in theory) is to just move the PMF goalpost to where you are today. Amazingly, these founders will be able to eloquently articulate the underlying root causes of their startup failure in their post-mortem Medium article. Too bad they didn’t think through those failure scenarios before the falcon had cialis 20 mg them dangling over some very hungry winged offspring. Solution 1: start being paranoid and think about why your startup is going to fail all the time. This is called inversion and a rich guy name Charlie Munger is sort of obsessed with it. Solution 2: Surround yourself with people who call you on your BS and give you honest feedback. Like that accountant from above. This is the well-funded VC startup failure scenario. If left unchecked, millions of dollars in a bank account can become terminal. VC backed companies can operate without a sense of survival for months, sometimes years. For the survival brain this is akin to a 6 month ban on falcons in your area. What happens is you over-invest in scalability before force feeding reality into your business model. This is like making the lizard forget it has the ability to save itself when the falcon grabs it by the tail. Solution: bootstrap. The more practice you have staring death in the face the faster you will learn how to survive. So short-term thinking is good now? Does Wall St. have it right after all? Short-term thinking is still not advised. But the reality is that sometimes the right thing to do is to make a downright ugly move. Leaders that navigate startups to sustainable places know when to stop thinking long-term and to start making ugly moves in key moments. Ben Horowitz calls ‘ugly moves’ Wartime CEO mode BTW. You can read an entire book of his ugly moves here. Ok so sometimes you’ll have to cut off your startup’s tail to stay alive. You’ll be fearful to do so, and once you do it you’ll congratulate yourself for a job well done. But snatching a stalemate from the jaws of defeat is not an opportunity to pop champagne. It’s a time for leadership and long-term thinking. You’re going to have to invest additional energy, attention, and resources in rebuilding the culture and mindset of long-term thinking in your company. You’ll need to be clear with your team about why you made an ugly move and reaffirm that it was not ideal. You lead a 5 why’s analysis to eliminate the conditions that created the circumstance. You should find more accountability partners and seek more negative feedback. These are the yeomen activities that successful long-term thinkers perform in the aftermath of an ugly move. It’s how you make that ugly move a mere blip on a timeline that eventually leads to a sustainable and profitable company.